6) I've got Enable Entitlements checked under Summary. 9) Also, I have tried the whole thing without an entitlements file, and get essentially the same result. I've tried setting get-task-allow to NO, aps-environment to production, all four possible combinations, same thing. How can I get past this? Where is definitive documentation on this? Note I realize there are many posts with similar titles, however they all seem to be out of date based on the file names and so-forth given, and the fact none of the solutions seem to be useful. I'm hoping the greater level of detail I've given will warrant a quality response. I will probably assign a bounty as soon as possible and if you give a high quality answer that leads to a solution I will award you the bounty as well as promote your answer via twitter and my blog. Especially if you crosspost post a really good "here are the exact 500 steps you need to get a simple push notification app working including provisioning and whatever else" article on your blog or whatever. If you created your provisioning profile before configuring the app ID for push, try to regenerate the provisioning profile. Worked for me. Now i'm able to use push. First of all, you don't need the entitlements file unless you are adding custom key/value pairs that do not exist in the provisioning profile. When your app is built, any entitlements from the provisioning profile will be copied to the app. Given that you still see an error message about missing entitlements, I can only assume the code signing options are not correct in the build settings. Although this screenshot shows the "Automatic Developer" profile selected, choose the exact provisioning profile you want from the drop down, just for testing purposes. It could be that Xcode is automatically choosing a different profile than the one you want. Also be sure to do a clean build, completely delete the app from your device, etc. This is just to make sure you don't have some old fluff hanging around. I have faced this issue in Xcode 8. You must have to enable Target—> capabilities—> push notification. Check the screenshot. Head over Xcode -> Preferences -> Choose Accounts Tab -> View Details -> Hit refresh button on the bottom left -> Done. Build again and it should work. Ok, I faced the problem before. Since push notification requires serverside implementation, for me recreating profile was not an option. So I found this solution WITHOUT creating new provisioning profile. 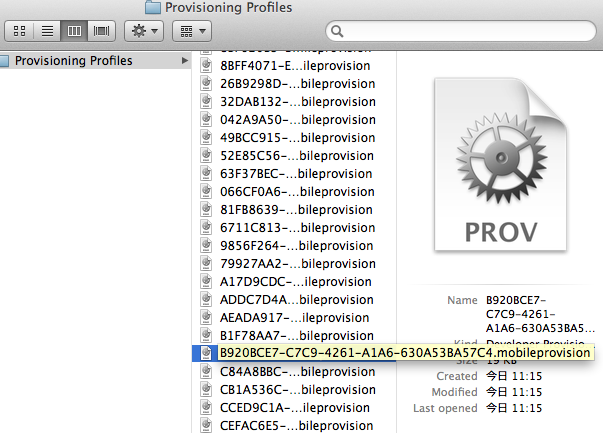 Xcode is not properly selecting the correct provisioning profile although we are selecting it correctly. First go to organizer. On the Devices tab, Provisioning profile from Library list, select the intended profile we are trying to use. Right click on it and then "Reveal Profile in Finder". The correct profile will be selected in the opened Finder window. Note the name. Now go to Xcode > Log Navigator. Select filter for "All" and "All Messages". Now in the last phase(Build Target) look for the step called "ProcessProductPackaging" expand it. Note the provisioning profile name. They should NOT match if you are having the error. Now in the Opened Finder window delete the rogue provisioning profile which Xcode is using. Now build again. The error should be resolved. If not repeat the process to find another rogue profile to remove it. The answer was: start over, do everything the same but create a new provisioning profile, and install it. That worked. Inspecting all the details (entitlements in mobile provision) looks exactly the same as everything in my question here. But now it works. Apple: WAT? Of course, it would have been obvious to do this if it was possible to delete provisioning profiles. But since that's not possible, I didn't want to clutter our team with a bunch of test profiles. Still, finally lost patience and tried it anyway, and it ended up working. Whatevs. Delete old provisioning profile from XCode in Organizer. 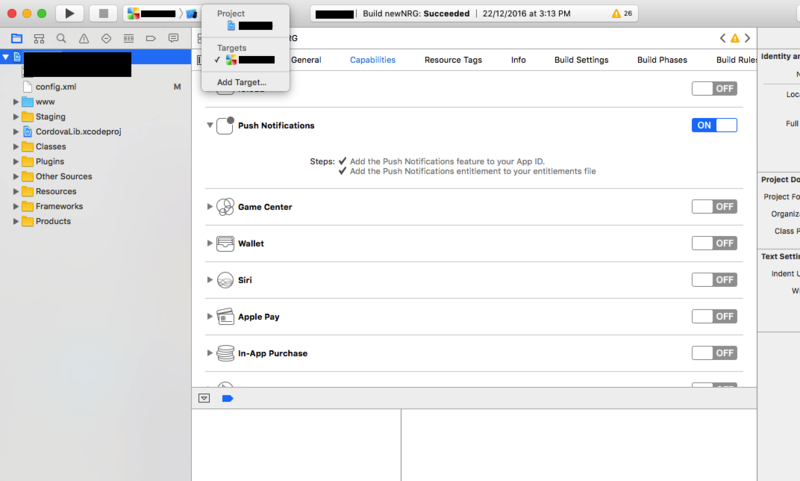 Then, generate a new provisioning profile for the same bundle id in iOS provisioning portal (after you have enabled push). Import the new provisioning profile in XCode, set it in your app build settings. It took me 10 minutes from error to success. Note that I had already added the Push enabled certificate by double clicking it in Finder. (Xcode 5) Well, after spending an hour I solved my issue. Even if you re-generate the provisioning file in Xcode 5, you should manually update your account. I only changed provisioning file in the Organizer tab that did not work, Xcode kept build with old provisioning file. Then refresh your provisioning files. My problem was simply that I was signing with the Xcode-managed wildcard provisioning profile. After I created an app-specific profile (and downloaded it, double-clicked it, and ensured my Build Settings referred to it), I successfully received an APNS device token. I had the same issue was everyone else and tried all the above tricks, nothing worked. I even deleted and started fresh with a different developer account. DO NOT use the team wildcard profile (managed by xcode one) in the development section of the provisioning. You need to make a separate one using that app ID that you've made push notification active for. This way when you develop it will have the push notification function built in. You mention a provisioning profile but I don't see any mention of an Apple Push Profile. To use Push you must have a push profile (there are two, one for development and one for release). After you've created it you'll need to make sure it contains the relevant certificates (see the EDIT section below). It would take me, or anybody else, hours and hours to write a thorough detailed answer like this tutorial, so I'm not going to attempt to, nor lay claim to the bounty when this tutorial already exists. P.S. I believe you don't need entitlements any more, this is a legacy thing. EDIT: You should also check you have the necessary profiles on the device - go to the settings, then general, profiles, check your profiles are listed, especially the push profile of course. You can also check this from the Organizer section of XCode. In Organizer there are two sections that say Provision Profiles - one at the top left in Library (this is the profiles in XCode that you use to sign etc.) Also you will see a section call Provisioning Profiles for the device that is connected, this is the profile that is installed on the handset. If you don't have them installed on the handset you can download them from the provisioning portal website, then click on the Add button at the bottom of the Organizer window. While in the provisioning portal you should also check that the Apple Push Profile includes the certificates: - click on Provisioning on the left hand menu - you'll see a list of your profile, select to EDIT the Apple push profile - you'll see a certificates section, with a list of developers or testers etc. you have in your project, make sure the check box is checked for them. - you'll also see a devices section, make sure the device you are testing on has been added. Ran into this same issue myself. For me, the issue was that my product name ($TARGET_NAME) was not capitalized the same way presented in the certificate provided by apple. For example, i had com.companyid.APNDemo whereas the Apple cert was using com.companyid.apndemo. I changed my target to be lowercase and it worked. Note: The clue for me was the codesigning setting in Build Settings was set to my default developer certificate; not the APNTest provisioning profile. A lot of the above answers are correct. However, there seems to be more than one possible error when dealing with this. The one I had was a capitalization issue with my App ID. My App ID for some reason wasn't capitalized but my app was. Once I recreated the App ID with correct capitalization, it all worked smoothly. Hope this helps. Frustrating as hell though. P.S. if it still doesn't work, try editing the Code Signing Identity Field manually with "edit". Change the second line with the name of the correct provisioning profile name. and check aps-environment and application-identifier. This error may occur when your certificate has expired. The solution is to renew certificate and sign the application with it. 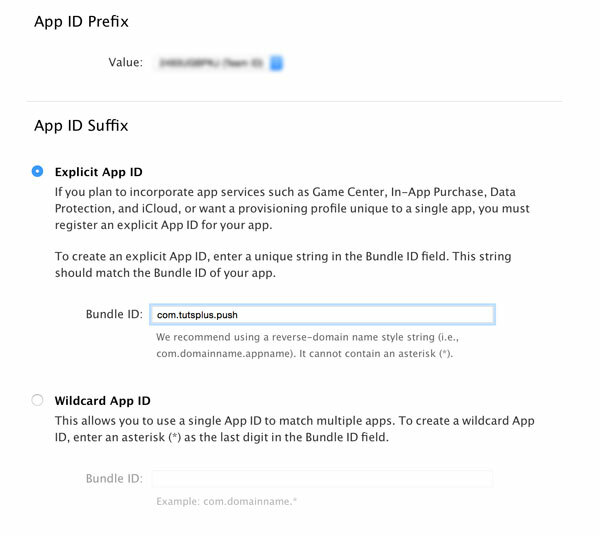 You need to make sure you have in your provisioning profiles (https://developer.apple.com/account/ios/profile/) an iOS Distribution profile. When you upload from xCode to the App Store, make sure you have the aps-environment in the entitlements. If not, download them from the View Accounts -> View Details -> Download All. I had a similar issue. I've been bouncing between XCode 7 and 8 for a variety of reasons. Once you use 8 to build, you will need to use 8. I simply used Xcode 8 and applied some of the changes suggested above and it worked. recreating provisional files fixed my all problems. There seem to be something quirky with the 'automatic' entitlements in Xcode 4.6. Unfortunately, this is the only way I found that fixes the issue. Just wondering if another more elegant solution is available. Xcode 4.6 automatic entitlement not working - "no valid aps-environment"
Before deleting and regenerating AppIDs/Profiles, make sure your Library and Device have the same (and correct) profiles installed. I started seeing this error after migrating to a new computer. Push had been working correctly prior to the migration. The problem was (duh) that I hadn't imported the profiles to the Xcode library on the new machine (in Organizer/Devices under Library->Provisioning Profiles). The confusing part was that the DEVICE already had the right profiles and they showed up as expected in build settings, so everything looked correct there, but the XCode LIBRARY didn't have them, so it was signing the app with...??? This was what fixed it for me. (I had already tried toggling the capabilities on/off, recreating the provisioning profile, etc). In the Build Settings tab, in Code Signing Entitlements, my .entitlements file wasn't link for all sections. Once I added it to the Any SDK section, the error was resolved. Not the answer you're looking for? Browse other questions tagged ios notifications push-notification apple-push-notifications or ask your own question. Why “didRegisterForRemoteNotificationsWithDeviceToken” is not getting called n swift 3, iOS 10, XCode 8? Does apns needs certificates for each app development?